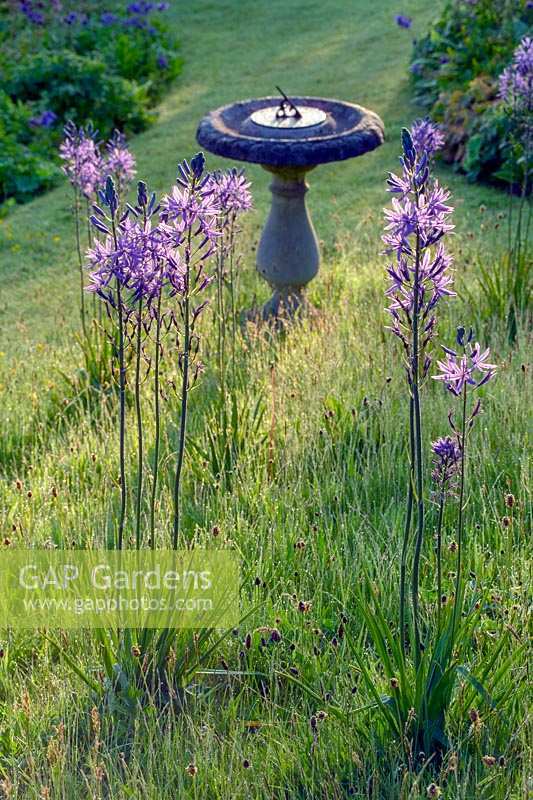 Camassia cusickii growing around sundial. Elworthy Cottage, Somerset, UK. Image 1301085 has been added to your cart.